Education & Career Consultant in Mumbai, Karan Gupta Consulting - Every student Dr. Karan Gupta has counselled has succeeded in achieving admission to a prestigious overseas university. In addition, 90% of those students win some form of scholarship or funding thanks to his direct experience working for the Admissions and Aid Funding department of a major US university. 158,000 students, graduates and professionals from over 60 countries have attended his seminars on overseas study, graduate career guidance and continuing education. Dr. Karan Gupta, is one of India’s most successful education consultants. In practice since 1999, Gupta has counseled over 50,100 personal students and has delivered seminars to over 158,000 people. Educated at the University of Texas at Austin, Harvard Business School, University of California San Diego, University of Mumbai and IE Business School, he has first-hand experience of studying, working and living overseas including working in Admissions and Funding departments. He has degrees in Psychology, Business and Law and is a Certified Careers Advisor. He was awarded an honorary PhD by Ecole Superieure for his two decades of work in the field of education. A TEDx speaker, Dr. Karan Gupta works towards equal opportunities for education and empowerment of underprivileged children. Gupta’s business philosophy is driven by his belief that education is the most powerful tool we have at our disposal, and that a lack of knowledge about how the educational system works should be no barrier to entry. “Knowledge is power”, he says. “I link this directly into my business philosophy, which is about putting students first, giving a personal service and genuinely caring about them and their success.” Gupta’s track record is impressive. Every student he has counseled has been accepted to a university or higher education setting. His knowledge of grant and scholarship funding systems abroad means that 90% of his students achieve some level of funding support, and 20% have achieved full scholarship or financial aid packages. Gupta feels that getting the right advice in this area is crucial for students. “I went to the US on a full scholarship to complete my undergraduate education. Pursuing an American education and working in the Office of Admissions, Financial Aid and International Student Office enriched my knowledge of international admissions. I learnt how to effectively prepare an admissions application and how to maximize a student's chance of admission and financial aid”. 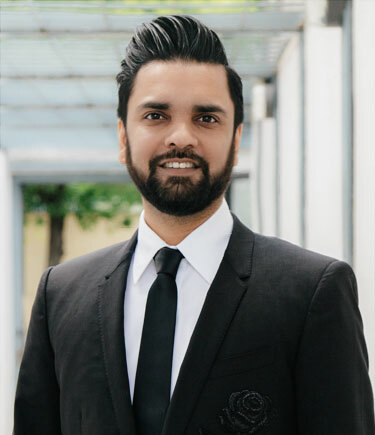 As well as an in-depth knowledge of the academic world Gupta has a passion for education, and in particular for helping the most disadvantaged to access it. 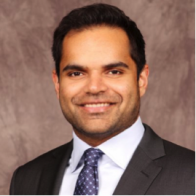 He has formed the nonprofit Karan Gupta Education Foundation with a specific mission to provide access to education for the most disadvantaged children and women, and has received awards from the Wharton Business School and the Times of India for outstanding contributions to education. Dr. Karan Gupta is able to offer a broad range of educational consultancy for students, graduates and those looking to develop or even change their careers. Students are able to receive advice on higher education, test and exam preparation, career choice and aptitudes, overseas education including student visa application and scholarship advice, career development and career change coaching.Based in Mumbai, Karan Gupta Consulting works with students across India and worldwide and has delivered careers and education advice to over 158,000 people in 60 countries. "Mr. Karan Gupta is a well organized and efficient counsellor, who is clear in his thinking. He works very hard and is able to do a lot for his students despite constraints on his time and energy. His help with documents and financial aid papers has been invaluable. Thank you for all the help. Wish that you and your team grow from strength to strength. Best of luck!" 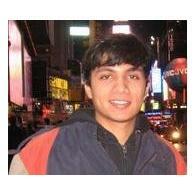 "The Karan Gupta Consulting team helped me in both the college admissions as well as the visa preparation. Both would have been very difficult without their dedication."